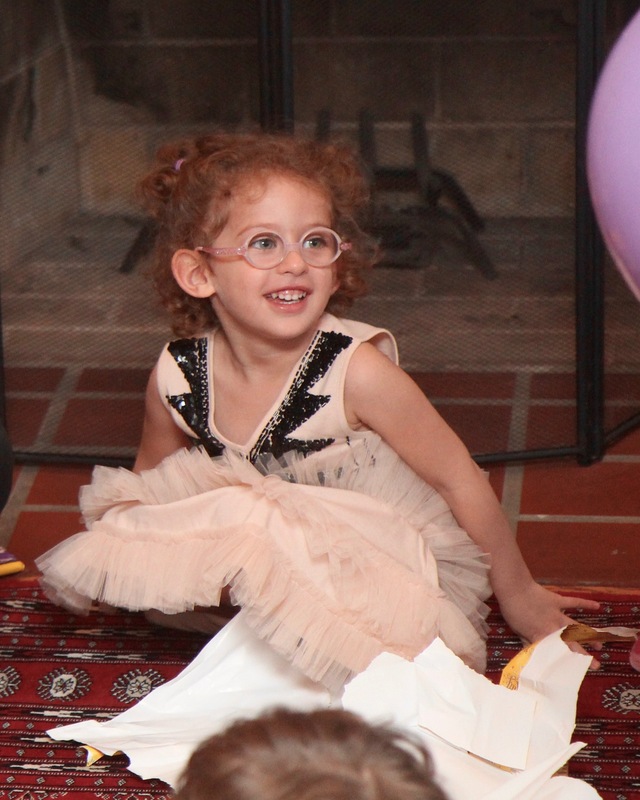 Sophia turned four. Four is a big deal! Almost like a recipe — a party, a good party requires a few key ingredients. Good food. Check. It also requires good cakes, several cakes. Check. Some drinks — juices for the kids and beer/wine for the adults. Check, check. Last, but absolutely critical, a good party requires friends and family. We started planning Sophia’s party a few months ago because we like to take our time working out the menu, guests, and the theme. She was set on a Lego theme and no amount of persuasion helped convince her to change her theme. Evan and I had our hearts on a Totoro theme. We’re hopeful she’ll want to have that as her theme next year and if not, there’ll always be one of Eliza’s parties. We invited our close family and a select few friends. We would have invited more but space was limited and we wanted to leave plenty of room for the kids to enjoy catching up. As it was, there were over thirty people and lots of cousins and friends. We made all of the food ourselves, save for a salad, a side and a kugel. 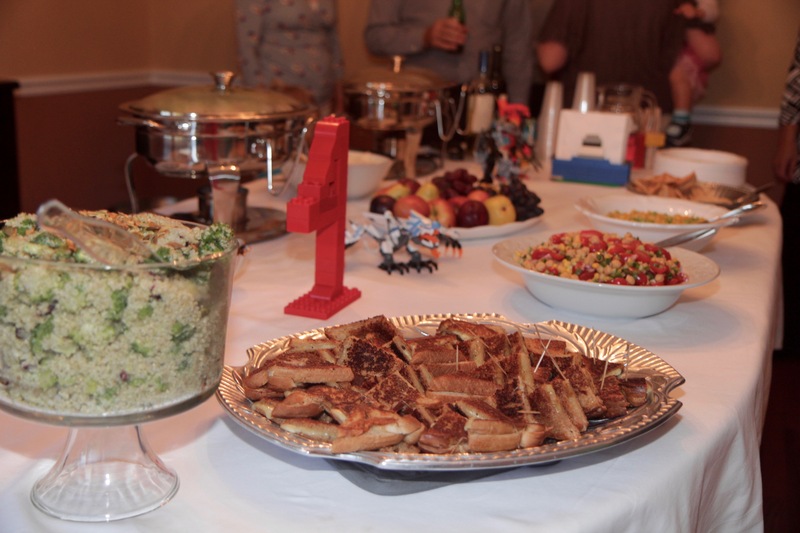 There was the sausage and peppers, chicken baked in an asian broth dressed with scallions and sesame seeds, rice, a corn and edamame succotash, grilled cheese two ways, an apricot kugel, a fiesta and a quinoa salads, and stewed eggplant. I baked two cakes–a lemon layer cake and a chocolate cake. The lemon cake was a rich pound cake base with a home-made lemon curd and iced with a lemon-cream cheese frosting. The chocolate cake was death by chocolate a triple layer chocolate cake filled and iced with chocolate ganache. Lastly, and because we enjoy cooking together, Sophia and I made chocolate balls which were a rich chocolate cake mixed with ethereally light vanilla buttercream frosting and dipped in bittersweet chocolate. They were such fun to make and a huge hit at the party. The adults socialized, the kids played, we sang happy birthday, blew out candles, ate cake, and opened presents. 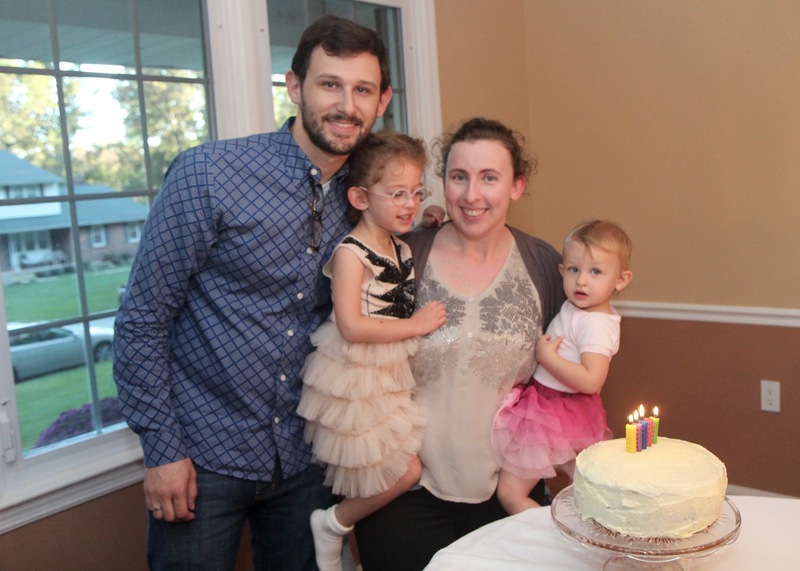 Sophia was thrilled that her friends and family made the time to join us in celebrating her birthday. She loved her presents. This birthday was for Sophia but it was a family party where we came together with people we love and spent time catching up. The picture is a bit fuzzy… it is the best one I have until my sister and brother-in-law look through their pictures. They hosted the party opening their house to our guests and helped enormously. Their selfless generosity is the very definition of family. This is what families, real, close-knit families do–make time, open their home, their hearts, and enjoy the pitter patter and laughter of tiny guests. I couldn’t be happier that Sophia and Eliza are learning by example. And thank you Anna, David and Alex for your open home and open hearts. Truly.